Blogging, vlogging, and podcasting…oh my! Admittedly, it can be a little confusing to distinguish one from the other. And, better yet, discover which one works best at getting your intended message across. To put it plainly, blogs are written, vlogs are visual, and podcasts are audio. Luckily, all three mediums are designed to get the word out about your particular passion and/or hobby. First and foremost, think about your desired audience. Are they looking to solve a particular problem with quick tips? Or are they seeking to learn a new skill and don’t mind a longer read? When you know who your audience is, it becomes that much easier to decide if you need a medium that shows, speaks or tells. In an effort to eliminate any guesswork, we’ve provided an extensive overview of each to help you decide which one makes the most sense. We watch over one billion hours of YouTube a day, more than Netflix and Facebook videos combined. Well, it’s official. We humans just can’t get enough of videos, or vlogs, for that matter. A vlog, as the name suggests, is a “video blog” or a “blog in video form.” Whether recorded in one take or cut into multiple parts, adding video to your online presence attracts audiences with enticing visuals, rather than words. While vlogging is sometimes still seen as the new kid on the digital block, learning how to vlog has its advantages, primarily because not everyone is using it. While social networks do encourage the use of video content (think Twitter Periscope, Instagram Stories, and Facebook Live), vlogs can easily be integrated into existing digital platforms by combining embedded video (or video links) with supporting text, images, and other metadata. Perhaps not surprisingly, the fashion and beauty industries are teaming with vlogs that provide engaging tutorials/interviews, all from passionate consumers. In fact, on YouTube, vloggers now outnumber beauty brands in beauty category searches by 14 to 1. In other words? Vlogs are gaining serious momentum in the digital sphere, and fast. The appeal of vlogging is simple: it offers a human element to your particular passion or hobby. Ideal for reaching those who prefer and crave visual content, vloggers have significant influence because people can see that you’re just the average Jane or Joe. This, in return, gives your audience a more personalized experience, allowing them to relate to and connect with you. If you’re not camera shy. Are you comfortable being seen and heard, even in the most unflattering of lights and angles? If yes, here’s how to look your best when doing so. If you want to go viral. Vlogs have the potential to go viral, in a way that blogs don’t. (This explains why YouTube is the second most popular social network in the world.) With one click of a shared link, you can instantly show a video on your Twitter or Facebook newsfeed. This sharing capacity gives your vlog serious potential to reach brand-new audiences. But don’t forget to make it fun! This will make people want to share. If you like to spice things up. Vlogs can turn everyday topics into engaging ones. Writing a step-by-step tutorial may fall flat but if you create a two-minute vlog on how to do it, you can turn pretty much anything into a memorable experience for you and your audience. If your target audience skews younger. Are you speaking mostly to 16-34-year olds? Then start vlogging! According to a GlobalWebIndex study, younger audiences prefer vlog content. If you’re tech-savvy. Vlogs require a lot of technical know-how; apart from the production itself, you’ll also need to be able to edit, cut, add, and/or touch up the sound of your video(s). To get you on the right track towards vlogging success, check out some of Namecheap’s vlogging tips and tricks. Contrary to what The Buggles sang back in 1979, video did not kill the radio star. Well, at least not entirely. Enter podcasting, the audio version of vlogging. This platform lets your lovely voice be heard, without ever having to be seen. Similar to a radio talk show, a podcast gives you the unique opportunity to connect with your audience through spoken storytelling, interviews, and pre-recorded Q&As. Easily distributable and accessible via iTunes, podcasts are becoming exceedingly popular. According to the Pew Research Center, 89 million people listened to a podcast in 2015, nearly double the number from 2008. If you are camera shy. Remember, not everyone wants a closeup. With podcasting, you can relax and openly discuss what you’re passionate and knowledgeable about. 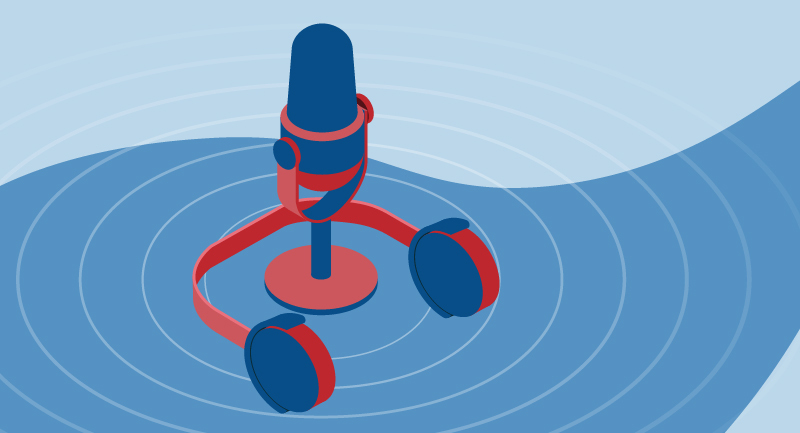 Whether you’re telling personal anecdotes or leading a discussion with others in your field, a well-executed podcast can leave your listeners wanting more. If you already have an audience. Admittedly, podcasting is not that easy when just starting out. Someone may stumble upon your podcast when searching but chances are, you’ll need to promote your podcast, either through social media or on your existing blog. If you want your audience’s undivided attention. One of the main advantages to running a podcast is that your audience can choose when and where they want to listen, at a time that’s convenient for them. In other words? You enter their lives on their terms, meaning they’re naturally more receptive to what you have to say. If you want to quickly measure success. Unlike blogs and vlogs, podcasts allow you to track the specific number of individual downloads and subscribers. If you’ve got the equipment (microphone, audio editing software, etc.). To produce a quality podcast, you’ll need a microphone as well as audio editing software, not to mention the skills to use it. You know when you binge-watch a fantastic TV series, only to realize that there aren’t any new episodes to download? Consider it the same for podcasting. Meaning, you have to keep things consistent, aka regular podcasts, for your listeners to keep tuning in. If you’re not already blogging, you’re missing out. How? By not giving people the opportunity to read up and get properly informed over what you’re passionate about. The best way to start blogging is to use WordPress.org, the world’s most popular blogging software. Powering more than 30% of all Internet websites, WordPress began in 2003 as a free, open-source blogging platform for anyone to use, giving users complete control over what they chose to publish. WordPress is a self-hosted solution, meaning you’ll need to sign up with a WordPress hosting provider and choose your domain name. Once you get it installed, there are thousands of free themes to create the website of your dreams. Add in such features as public forums, an online store, or paid membership and suddenly, you’re looking at a platform you can use to make money. If you want a fast, hassle-free setup. Setting up a blog is easy. And, with open-source platforms such as WordPress, Drupal, and Joomla, you don’t need special equipment to get yours up and running. If you’re truly the expert. Blogs are ideal for building your authority and expert reputation by properly informing and educating your audience through well-written content. If you want other hobbyists and bloggers to find you online. An awesome blog, with properly optimized content, can give you high visibility in search engine results, a la Google. When your blog’s words and phrases match what people frequently type into Google, this proves that your website is relevant to their search and your ranking increases. If you’ve got the time. Make no mistake, deciding which topics to write about, doing the research, finding a unique angle, and actually writing the content does not happen overnight. To build a blog with a loyal following, you need to be able to consistently craft informative and engaging material. If you don’t mind people skimming. More than ever, people suffer from short attention spans so successful bloggers understand and expect this. By giving your readers complete control their content experience, they’re allowed to skim your articles, scroll, re-read, save quotes, and so on. The beauty of vlogging, podcasting, and blogging is that they’re not mutually exclusive. In fact, mixing and matching these online mediums can provide your audience with a multi-faceted experience, adding newfound value to your message. 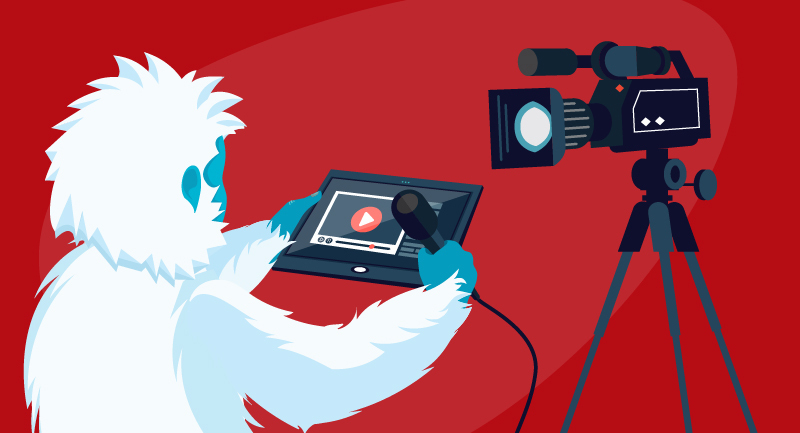 Case in point: combine engaging video content (a vlog) with a written post (blog). Since Google isn’t presently able to view vlogs (meaning, it can’t understand what content is in your video in order to rank it for the right keywords), integrating a how-to video into a scrollable blog, which is full of readable keywords, can kill two birds with one stone. Although it might be tempting to become an immediate whiz at all three, we recommended trying your hand at one first and seeing how that goes. Only when you start to become more comfortable and well-versed with your chosen medium you can introduce others. When you’ve reached this certain level of comfort with your said medium, why not start to monetize it? 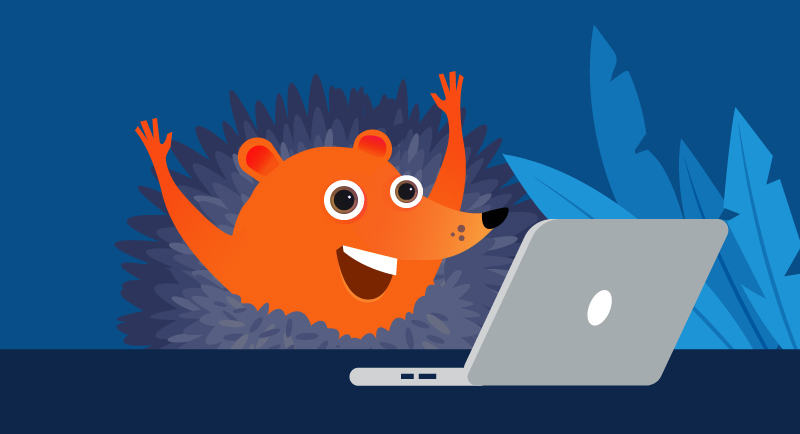 Our resident Namecheap bloggers James Long and Jackie Dana provide excellent overviews on why vlogging and blogging can benefit you financially.